"No one should be made to feel unsafe or unwelcome while enjoying something they love." Wizards of the Coast is working to shut down harassment and bullying in the Magic the Gathering community. "We are incredibly proud of the Magic community and the tremendous good it does in people's lives. Magic is a game meant to bring people together—it's right there in the name "The Gathering." Our community is filled with stories of lifelong friendships and bonds forged through tapping lands, casting spells, and swinging in with everything for the win," said Elaine Chase, on a recent update. "Sadly, that sense of community can be spoiled by the behavior of a few individuals. We at Wizards of the Coast are disheartened about bullying and harassment in the gaming community; unfortunately, the Magic community is not immune. No one should be subjected to threats and intimidation. No one should be made to feel unsafe or unwelcome while enjoying something they love. All people should be able to express their joy for the game without being attacked, whether that's in a local game store, online, or somewhere in between." Working with the community, Wizard states it is investigating reports as quickly as possible, and assure any violations of its Code of Conduct are taken "very seriously". Found guilty of any such violation means, and you may be removed from organised play, the Wizards Play Network, or all Wizards accounts entirely. But the publisher wants to go even further than that. "We recognize that it is time to carefully reconsider how we work with retailers, tournament organizers, players, and community members to deal with harassment and bullying—online and offline. We have been working on this, but we will work faster. "We are going to be more proactive about setting expectations for behavior at Magic events and in all Magic spaces. Some of you may have taken a survey recently about what makes you feel comfortable and included at Magic events and what doesn't. 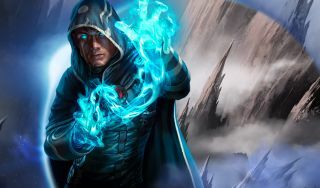 That is part of a project we've been working on that will clearly express how players, retailers, tournament organizers, and us here at Wizards expect each other to behave anywhere people are enjoying Magic." If you witness harassment and abuse, or are a target yourself, Wizards urges to you report it via YouTube, Twitch, Twitter, Reddit, Instagram, Tumblr, and/or Facebook. "People who have audiences of thousands or hundreds of thousands of fans have a responsibility for the content they create," the statement concludes. "Words matter, and audiences matter. Going forward, we're going to pay special consideration to those who use their platforms in ways that make a positive impact. "The culture of harassment and bullying in the gaming world has to end. We are all in this together, and everyone here at Wizards of the Coast wants gaming to be a welcoming, inclusive, fun space for people to explore, make new friends, and, yes, gather."